Snugglebumms were made by Playskool in 1984 and MB from 1985. They were funny little characters with long furry backs for brushing. Baby Snugglebumms giggled when shook, and the adults lit up when hugged. There were also pets, bugs, miniatures and puzzles. 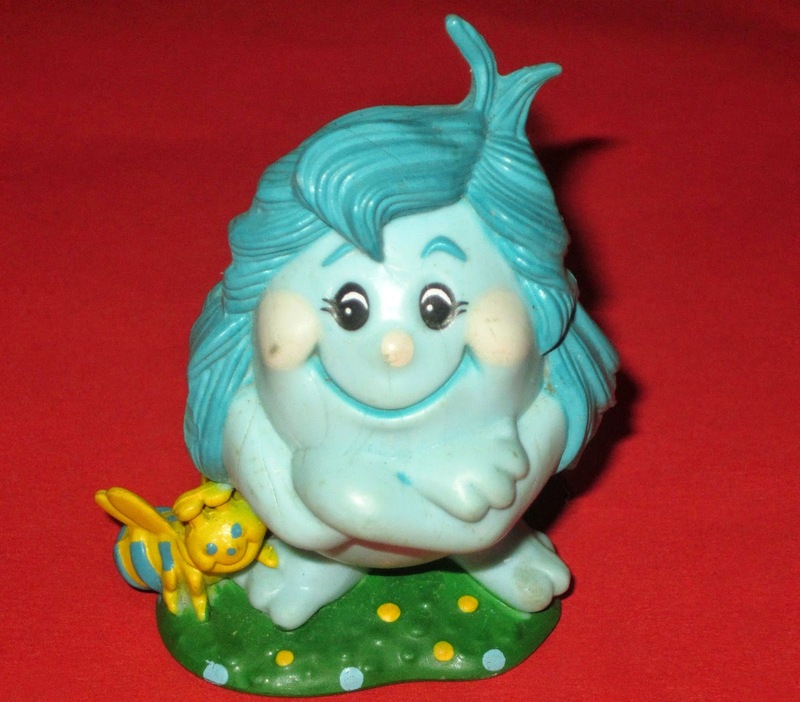 This is a Papa Snugglebumms PVC figure made by Playskool in 1984. These characters hair looked just like trolls!